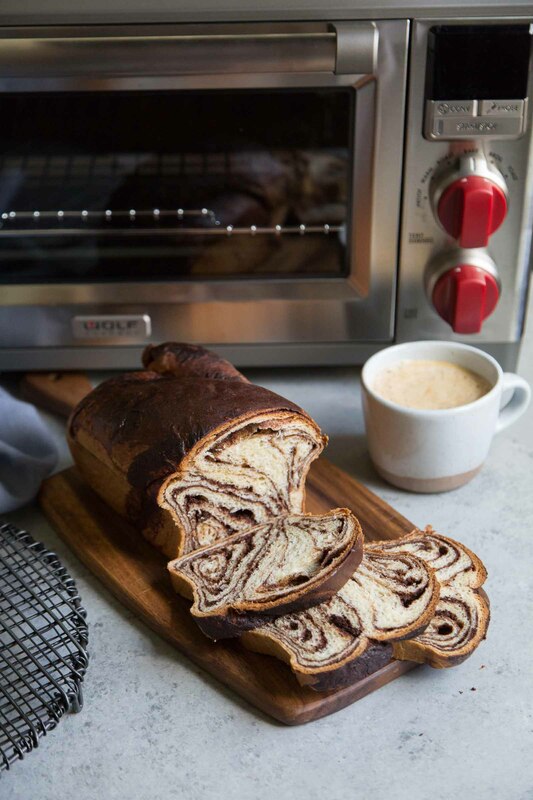 While this chocolate babka is packed with chocolate flavor, it is not very sweet. The combination of chopped dark chocolate mixed with unsweetened cocoa powder results with a full rich profile. It’s the most wonderful time of the year! Giveaway season! 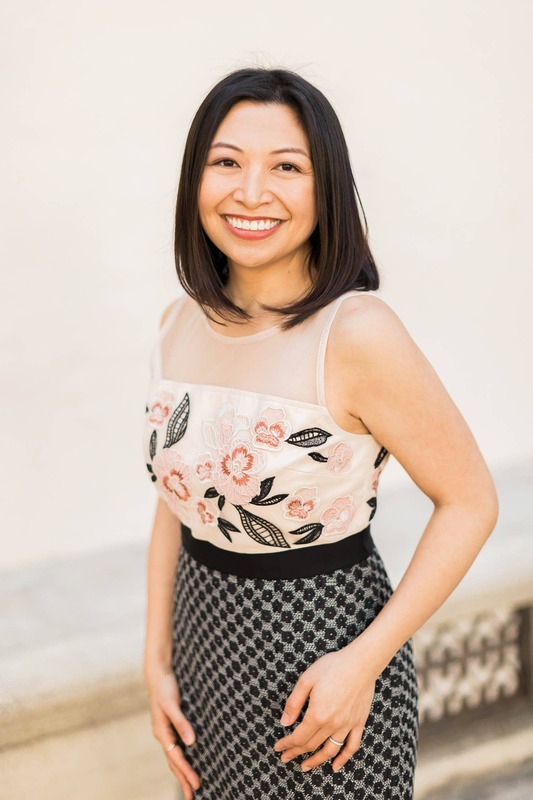 I am beyond excited to share this giveaway with you. Last month I partnered with Wolf Gourmet to giveaway one of their powerful high speed blenders (and I made cacao hazelnut milk!). 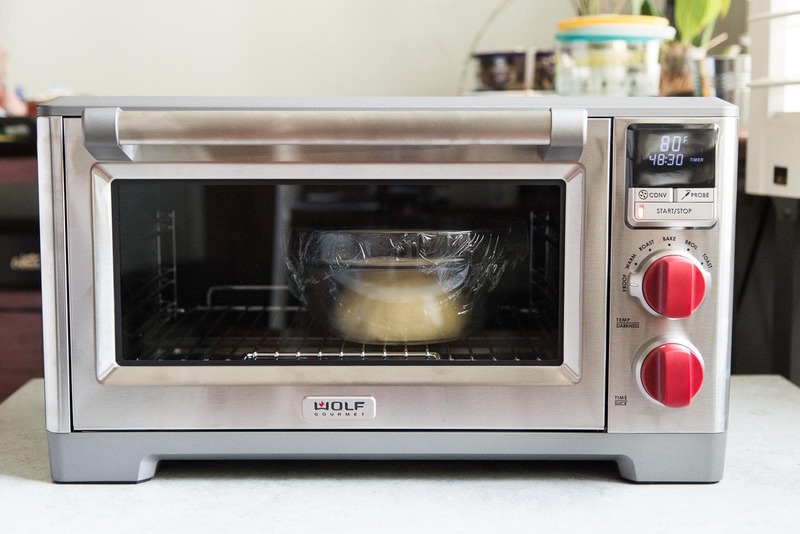 Today I have something even more thrilling… the Wolf Gourmet Countertop Oven! I’ve been eyeing this countertop oven. I dream of having a double wall oven, or even better, a double side by side oven with 6 burners, a French top, and a wall mounted pot-filler. As I’ve mentioned before I daydream about my ideal kitchen the way some people fantasize about retirements and what not. I christened my new countertop oven by making this chocolate babka. Bread making is my favorite. I find it to be relaxing, therapeutic, and rewarding. During the cooler months as the temperatures starts to dip, finding a draft-free warm place for my breads to rise can become a challenge. I usually let my breads proof in the garage, the warmest place in our house. The only problem with that- I tend to forget about it. Out of sight, out of mind. No need to use my garage anymore. This Wolf Gourmet Countertop Oven has a proof setting! At a constant 80 degrees F, it provides the perfect setting for happy doughs. 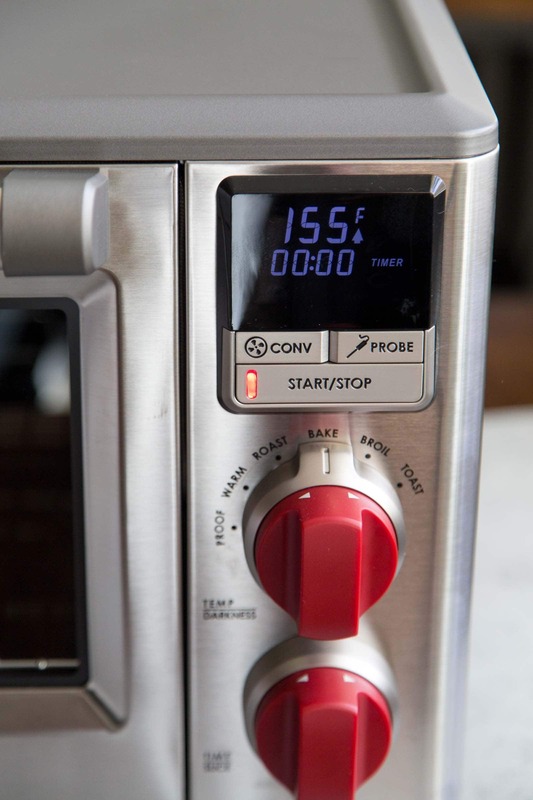 Best of all, it has a built in timer to let you know when it’s time to check on your dough. Though petite and sized for a countertop, a standard 12 cavity muffin tin or quarter-sheet pan can fit inside. There are six cooking modes to select from: proof, warm, roast, bake, broil, and toast. And because of it’s petite frame, this countertop oven heats up fast. Once you select your temperature setting, you can view the display to indicate when your oven is at your desired temperature. I really enjoyed using this countertop oven. I have yet to experiment with the roast setting (and use the included probe thermometer), but I’m looking forward to roasting chicken soon. Alex and I devoured this loaf of chocolate babka in record time. I usually share most of what I bake with family and friends. Not this one. As soon as it was cool enough to slice, we began snacking on it. It’s not very sweet, but it is packed with chocolate flavor. The combination of chopped dark chocolate mixed with unsweetened cocoa powder results with a full rich profile. The bread tastes great at room temperature and even more delightful when it’s lightly toasted and served with a giant mug of hot chocolate or a hot latte. I foresee many babka variations to come! DOUGH: In the bowl of stand mixer, whisk together flour, instant yeast, and salt. Set aside. In another bowl, whisk together milk, sugar, yolks, and vanilla until sugar has dissolved. Attach dough hook to stand mixer. Mixing on low speed, slowly add liquids to mixing bowl. Mix for one minute until dough starts to come together. Scrape down bowl as needed. Before the dough has fully formed, with the mixer running, add softened butter one tablespoon at a time. Increase speed to medium and continue to knead for 8-10 minutes until dough is smooth and does not stick to the sides of the bowl. Form dough into a ball and place in a large greased bowl. Cover with plastic wrap and let rest at room temperature for 90-120 minutes until double in size. (Allow to rise at proof setting in Wolf Gourmet countertop oven, about 90 minutes.) Punch down risen dough. Recover with plastic wrap and let chill in the fridge for 30 minutes until dough is cold. FILLING: Place chocolate, butter, and cocoa powder in a medium microwave safe bowl. Microwave for 30-45 seconds at 50 percent powder. Stir until smooth and melted. Add sugar and stir until combined. Let cool to room temperature. Whisk in egg white until mixture is shiny and glossy. Reserve one tablespoon of filling for later use. Roll chilled dough on a lightly floured work surface. Press and roll into a 18 x 14-inch rectangle, with the long end parallel to you. Spread filling all over rolled dough, leaving a 1/2-inch boarder around the edges. Roll dough away from you into a tight cylinder. Pinch seams closed. With the roll seam side up, spread the reserved one tablespoon filling over seam. Fold roll on top of itself, allowing the filling to sandwich. Pinch ends to seal. EGG WASH: Whisk together egg, water, and salt until well combined. BAKE: Preheat oven to 350 degrees F. Lightly brush the top of risen dough with egg wash. Bake for 40-45 minutes, rotating loaf midway through baking. Bake until the top of bread is deep golden brown and the internal temperature of bread registers at least 190 degrees F. Allow bread in cool in pan for 15 minutes before unmolding. Remove bread from pan and allow to cool to room temperature on wire rack. Allow bread to completely cool before slicing. If using DRY ACTIVE YEAST (instead of instant yeast): dissolve 2 teaspoon dry active yeast in warm milk (105-110 degrees F) along with 1 teaspoon of granulated sugar. Let mixture sit for 5-7 minutes until foamy and fragrant. Whisk in remaining sugar, room temperature yolks, and vanilla until sugar has dissolved. Add to stand mixture with flour and salt. Proceed with listed instructions. Since this is a small amount of dough, you will have to scrape the bowl often to ensure thorough mixing. Do not add additional flour. Simply scrape sticky dough from mixing bowl and continue to knead until dough comes together. Now the fun part… win a wolf gourmet countertop oven! Tag a friend on this Instagram post. Fine Print: To participate, you must be 18 years or older and reside in the 50 United States. No P.O. box addresses. Giveaway ends Monday, December 4 at 11:59 PM PST. One winner will be chosen at random and notified via email or DM the morning of December 5. Winner will have 24 hours to respond before another random winner be will chosen. Disclosure: I have partnered with Wolf Gourmet for this giveaway. Wolf Gourmet has generously provided me with the countertop oven for my own personal use and they will send one to the winner. As always, all opinions expressed here are my own. so excited to be baking my fruit cake this week and gonna feed it till christmas with cognac!! I am most excited to make a double crusted pie this season! Can’t wait to make lefse this season! Excited to bake cakes as December is also the birthday month of my husband and daughter! I’m trying to make my mothers cheesecake for the first time. Most excited to start baking christmas cookies! Love to give them out to family, friends, & coworkers! i’m most excited to make a yule log! Can’t wait to bake cookies and panettone!! Most excited about pumpkin pie- I just can’t get enough and love trying new recipes/variations! YUMMY! WE ARE EXCITED TO MAKE CHOCOLATE CAKE THIS SEASON! So amazing! Can’t wat to try the chocolate cake out! Excited to make marshmallows for hot cocoa and graham crackers for s’mores! My family’s favorite Filipino ensaymada! Definitely excited to make chocolate peppermint desserts and a showstopper white cake with cranberries. I’m most excited to bake some gingerbread. I bake for a living, mostly pies, available at the farmers market. Since market season is just about over, it’s time to play! I am ready to take a crack at playing with yeast. I’ve done a few breads and cinnamon rolls in the past but it’s time to break out the cookbooks, scour all the blogs and learn to bake sourdough! 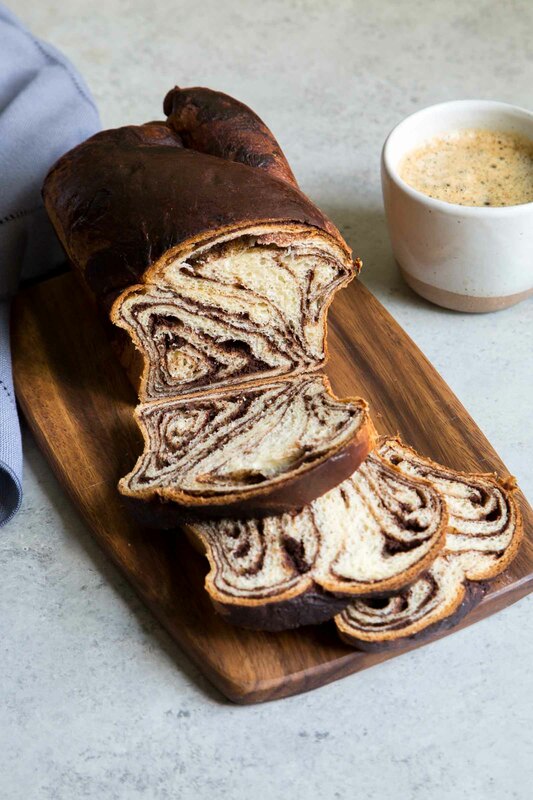 But this babka is going on my list as well. Thanks for the chance to win this beauty. In the bakery I have four huge ovens, at home, only a countertop one, it’s another brand, but I love the small size and the efficiency of it. I’m most excited to bake Christmas morning cinnamon rolls! 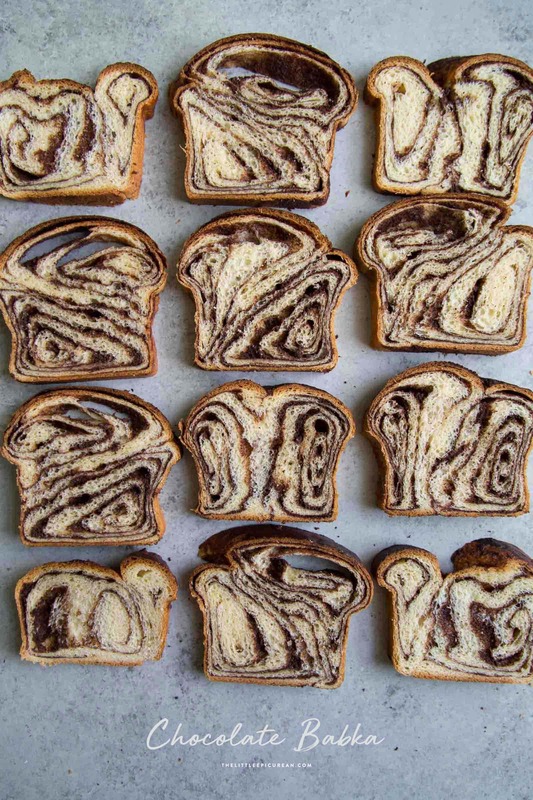 How would I change this recipe if I wanted cinnamon babka rather than chocolate? This recipe looks delicious but I love cinnamon a lot more than chocolate. The pecans are just starting to fall from the tree in our backyard, so I am excited to start churning out pecan pies. Once we’ve finished moving and the kitchen is unpacked I can’t wait to make chewy ginger cookies and a steamed gingerbread! That oven is gorgeous! And so is your Babka! I’m looking forward to doing a lot of different types of baking this year, but especially excited for Christmas morning cinnamon rolls! It’s the only time we have them! Our oven went out this Thanksgiving and I had to bake Mac n cheese, biscuits and pumpkin pie in our basic stovetop oven. The big stuff went on the grill. I didn’t even know there were gourmet stovetop ovens! I would love to bake my friend Marilyn’s amazing homemade bread in it, and my famous pumpkin white chocolate chip cookies. Hello Wolf! I’ll be making a friend a cherry cheese pie. OMG, this is a perfect countertop oven! I love the proof setting and would use this feature a lot! To start, I would make Kindred’d Milk Bread. Then I would go on to trying to make perfect biscuits. Oops. Messed up on email address. Tablet not forgiving. I love the idea of a countertop oven with the quality of a full size built-in. And I love the red knobs! My favorite thing to bake for the holidays are spritz and meringue cookies I used to make with my mom and the cranberry pie from The Silver Palate Cookbook. I’m most excited to make my Coffee Cashew Biscotti. It’s great to gift this time of year. Most excited to start holiday baking with my grandson! Excited to start holiday baking with my grandson! My Grandma Betty’s Potato Rolls with cinnamon and sugar filling. Big and gooey and oh so soft! Most excited to bake cookies and chocolate cheesecake! most excited to bake cinnamon rolls! I’m excited to bake monkey bread this holiday season! I have fast rising yeast, is that the same as instant yeast? Yes, fast-rising yeast (or rapid or quick-rise yeast) is the same as instant yeast. I love baking bread, cakes, cookies, etc. I especially love making cakes. However this Babka bread is this best bread ever !! !